Edward "Old" Williams was born in 1782 in London. His father Edward Williams Sr. was an engraver of some note who sometimes worked with George Raphael Smith, Thomas Rowlandson and William Ward. However, the elder Edward Williams is probably best known for marrying Mary Ward, the sister of James Ward, the well-known animal painter, and of William Ward, the engraver. Mary Ward was a wild spirit known to delight in ridiculing those around her, and when she ran off with another man, the younger Edward was sent to live with his Uncle James. This was probably during the late 1790s at a time when James Ward was working principally as an engraver, not a painter, but the dates and details are vague. The fact that Ward scarcely mentions Edward in his diaries, suggests that very little if any art instruction was given, yet Edward must have certainly been influenced by his brief association with his uncle. Another famous uncle, who likewise gave no instruction, was the notorious painter George Morland, a child prodigy whose wild lifestyle was as legendary as his painting skill. Edward was apprenticed to a London carver and gilder, which makes it likely that he began his career making picture frames. However, young Williams is said to have yearned to be a painter, and he soon began to establish himself as an artist. 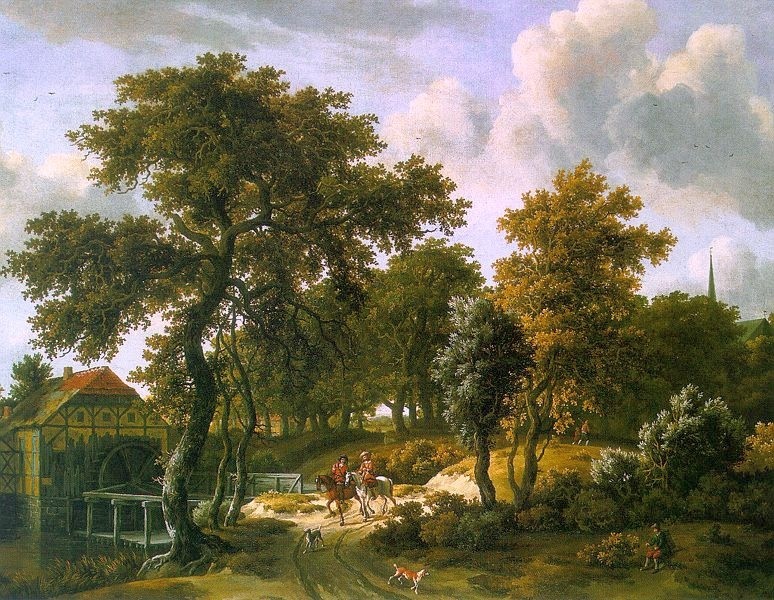 He started by copying landscapes in the style of the late 1600s Dutch Baroque artists Ruisdael and Hobbema. 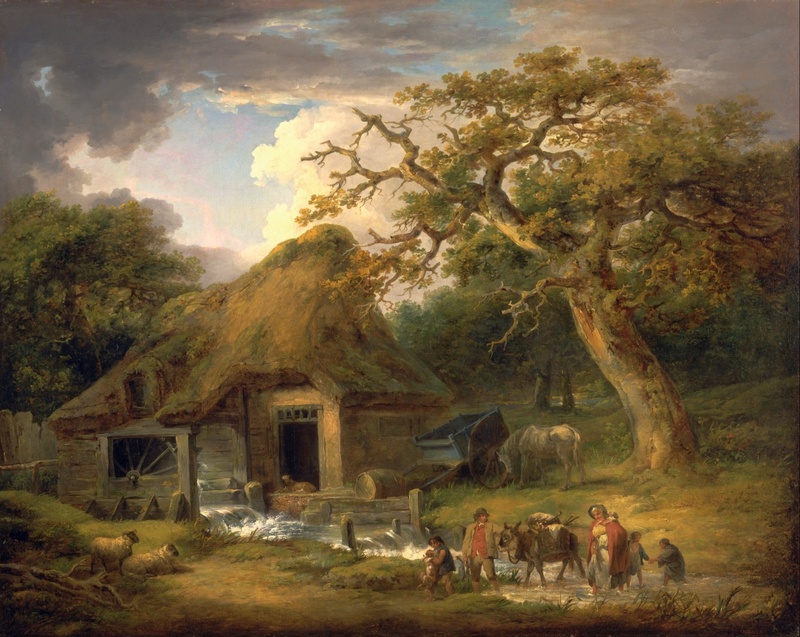 He also painted comtemporary landscapes that, not surprizingly, hint of his uncle George Morland. However, the figures and buildings in Williams' paintings lack the fineness and detail of Morland's works. Ultimately, Williams became known for moonlight scenes, and he is sometimes referred to in contempary art journals as "Moonlight Williams. 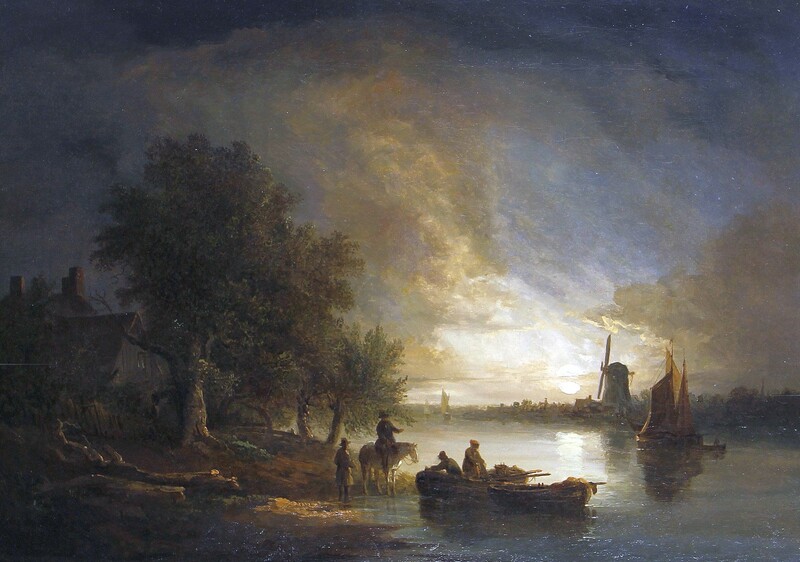 He also painted many river scenes along the Thames in his later years. However, he is best known for being the father of six sons, all of whom became well-known Victorian landscape artists, and this patriarch of the so-called "Williams family of painters" is often referred to in art circles as "Old Williams". He died on June 24, 1855 in Barnes, Surrey, on the south side of the Thames River from London. 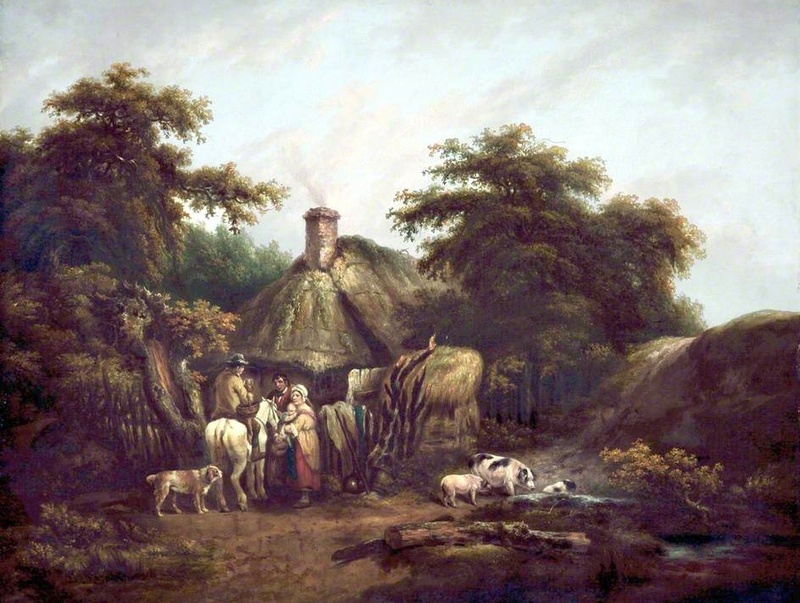 Edward Williams seldom signed his paintings, which has led to a lot of confusion in trying to distinguish his works form those of his sons, particulary his oldest son Edward Charles Williams who likewise did not sign many of his works. The similarity in style of some of their paintings has perplexed many an art historian, who knew they were dealing with a canvas painted by one of the Williams family, but had no idea which one. Edward William's work was displayed from 1814-1855 (95 paintings) at all the major exhibitions of his day, including the Royal Academy (36 paintings), the Suffolk Street Gallery of the Royal Association of British Artists (38 paintings), and the British Institution (21 paintings). 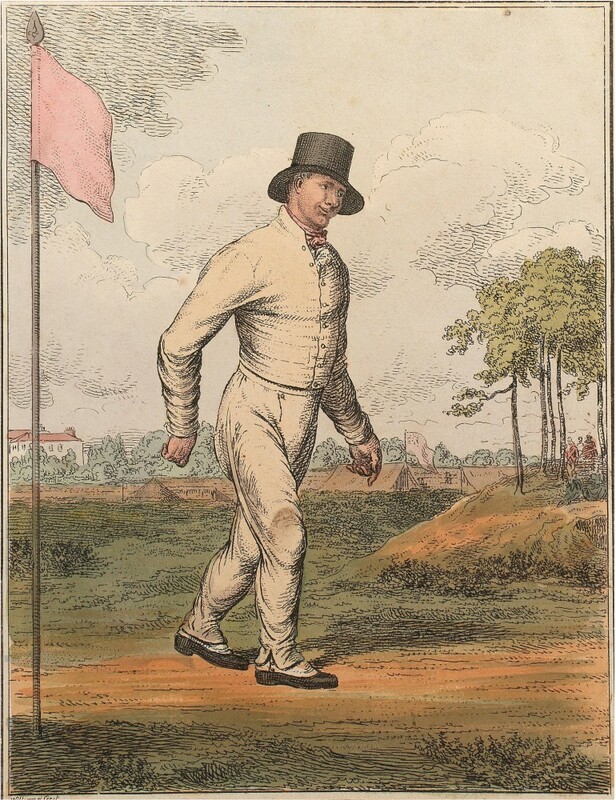 Edward Williams - 1815 - George Wilson the Pedestrian. An early engraving by Edward Williams that was published on Sept. 25, 1815 by Thomas Palser of Lambeth, London. It commemorates George Wilson, who gained fame by making long-distance walks across England. Although Williams was about 33-years old at the time, he was probably just starting out on the artist phase of his career, which explains why his George Wilson engraving appears somewhat crude in execution. 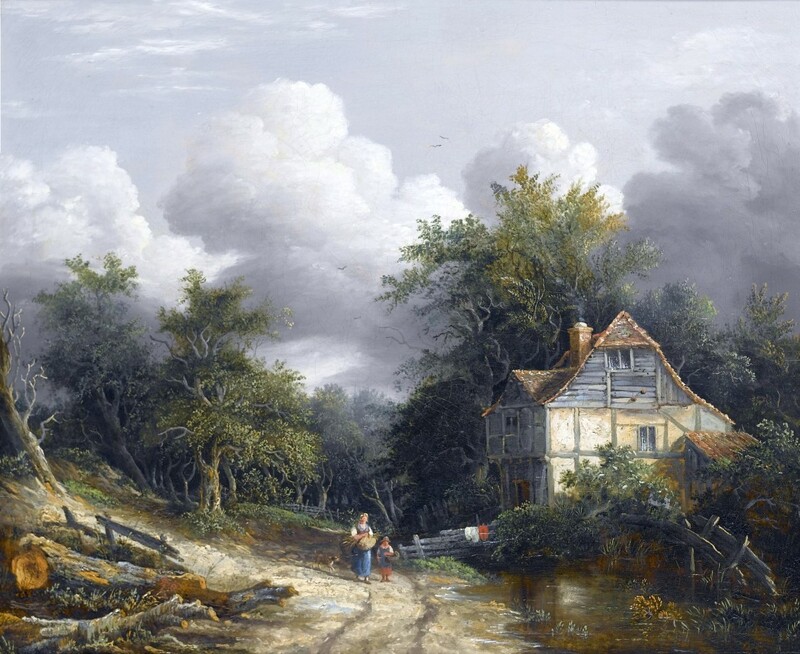 Because Williams had been trained as a carver and gilder of picture frames, and not as an artist, he probably had no formal art instructions, and he taught himself to paint by copying the styles of others, particularly Dutch landscape artists of the previous century. 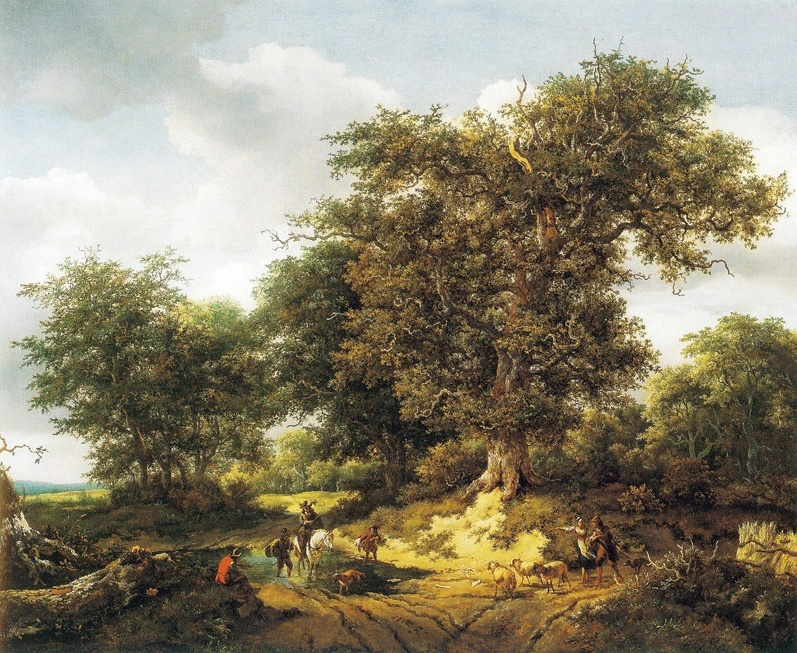 Three landscapes by Edward Williams that somewhat mimic the style of Dutch Baroque artists Meindert Hobbema (1638-1709) and Jacob van Ruisdael (1628-1682), with wooded rural scenes showing dense groupings of trees and very detailed renderings of the individual tree leaves. 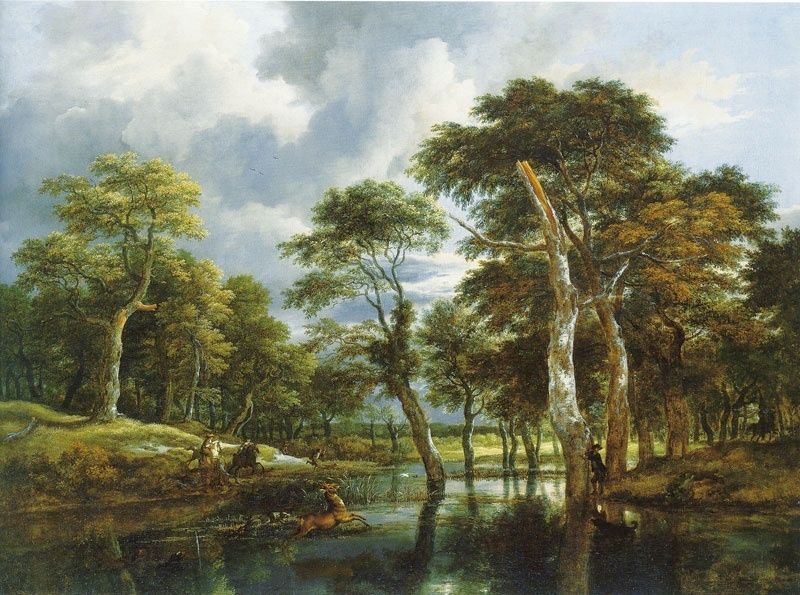 These were probably painted by Williams early on in his career when he was teaching himself to paint landscapes by copying the works of early Dutch painters. 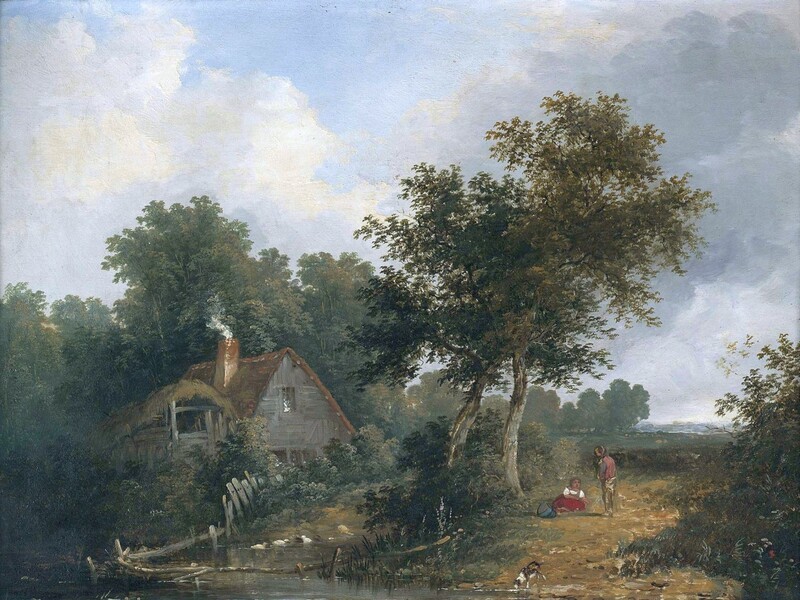 LEFT: A Cottage in a Wooded Landscape. CENTER: A Man and his Dog in a Landscape. 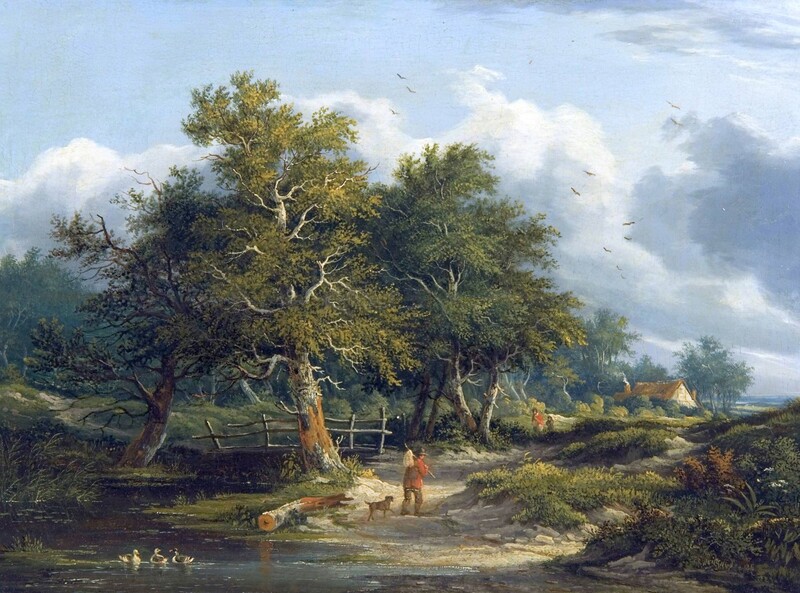 RIGHT: A Wooded Landscape with Anglers. 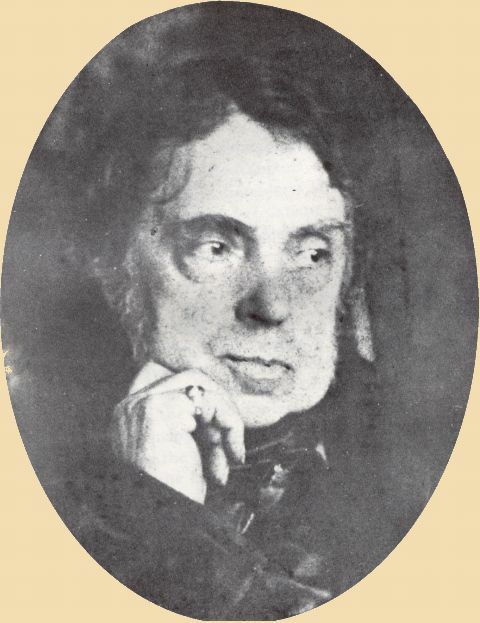 The last picture is unsigned, and some have attributed it to Edward Williams' son Edward Charles Williams, whereras others believe it to be more representative of the father's work. However, both artists in many cases did not sign their work, and because of the similarity of their styles, differentiating the work of one from the other can be very difficult. 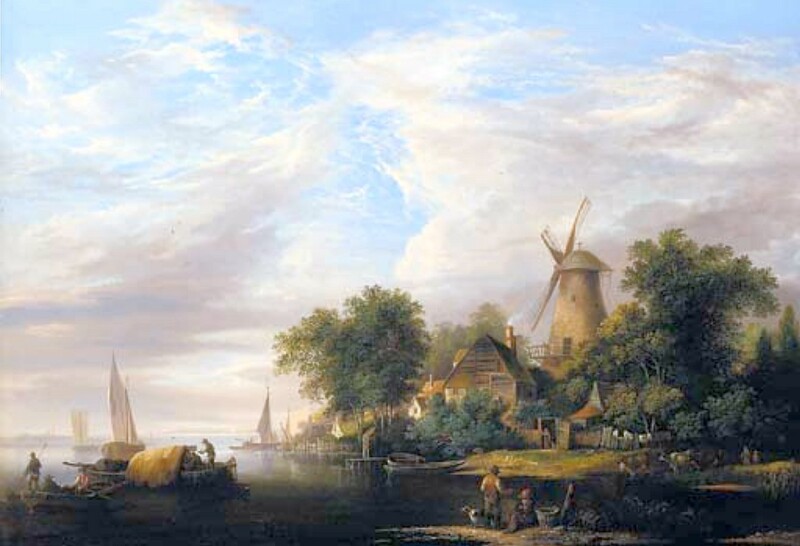 Three landscapes that somewhat mimic the style of Dutch Baroque artists Meindert Hobbema (1638-1709) and Jacob van Ruisdael (1628-1682), with river scenes showing boats and windmills. 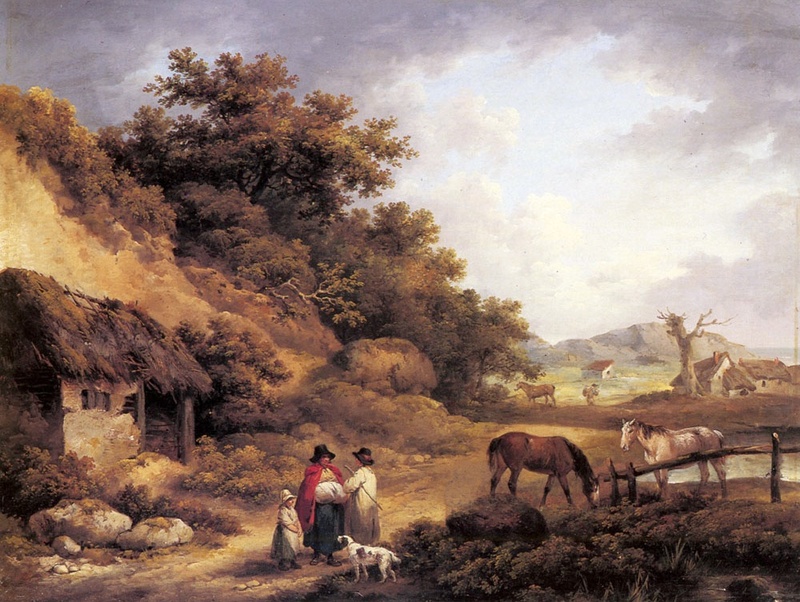 The contrast is softer, and the tones brighter than in Williams' wooded scenes shown above. 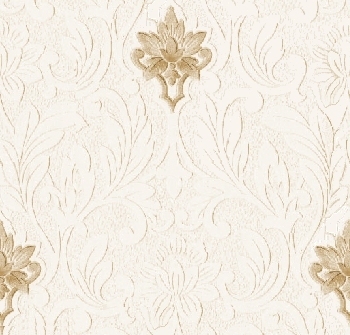 Again, these were probably painted by Williams early in his career when he was teaching himself to paint by copying the works of early Dutch painters. 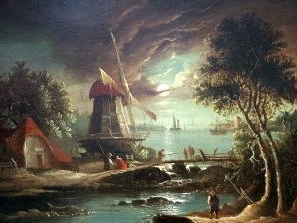 The painting on the far right is also a moonlight scene, more characteristic of the style of paintings for which Williams became best known. 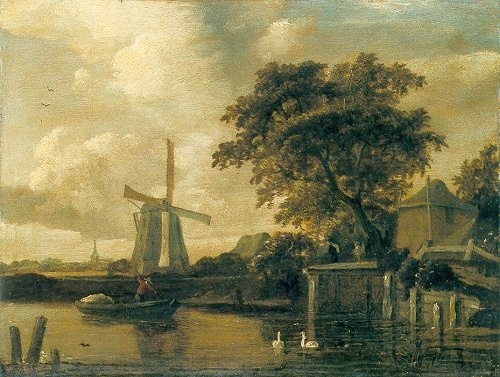 LEFT: Cattle Watering by a Windmill with Fishermen at the End of the Day. 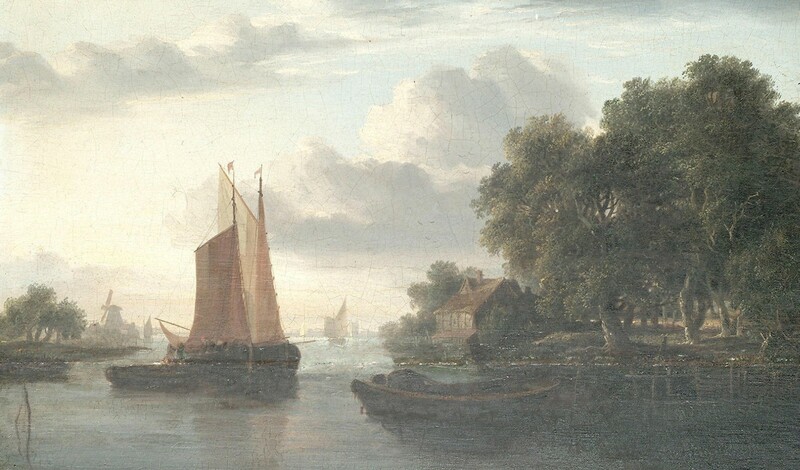 CENTER: River Landscape with Figures on Boats. RIGHT: Moonlight. 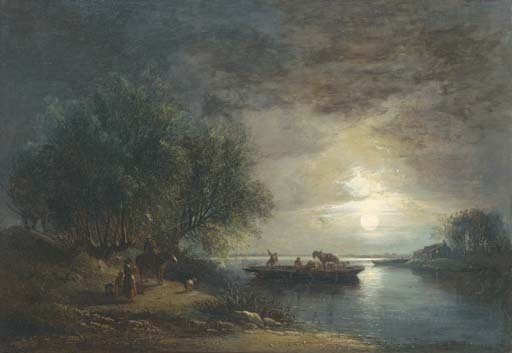 Edward Williams eventually developed his own style, charaterized by moonlight scenes, often with the moonlight reflecting off of water. 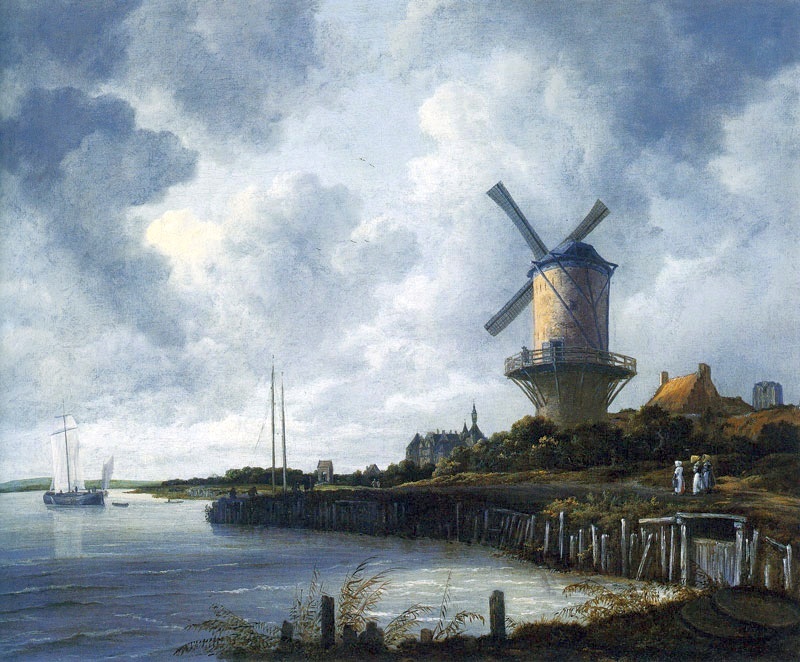 Like his Ruisdael-style paintings, many of Williams' moonlight scenes, such as the three above, include windmills, only now they are relegated to background settings and less prominent than before, with the moon serving instead as the focus of the painting. Williams became so well-known for his moonlight scenes that many art journals of the time referred to him as "Moonlight Williams". 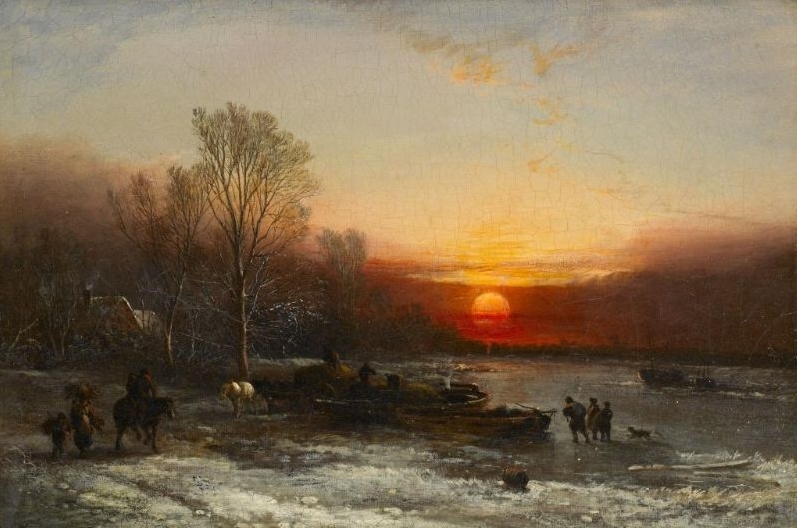 BELOW LEFT: Figures Unloading a Barge in Winter. 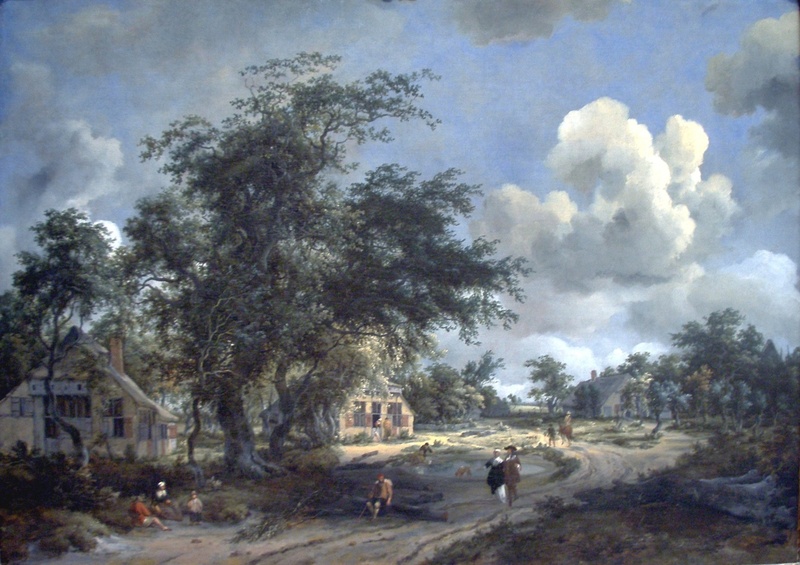 CENTER: Near the Yarmouth Roads (signed). 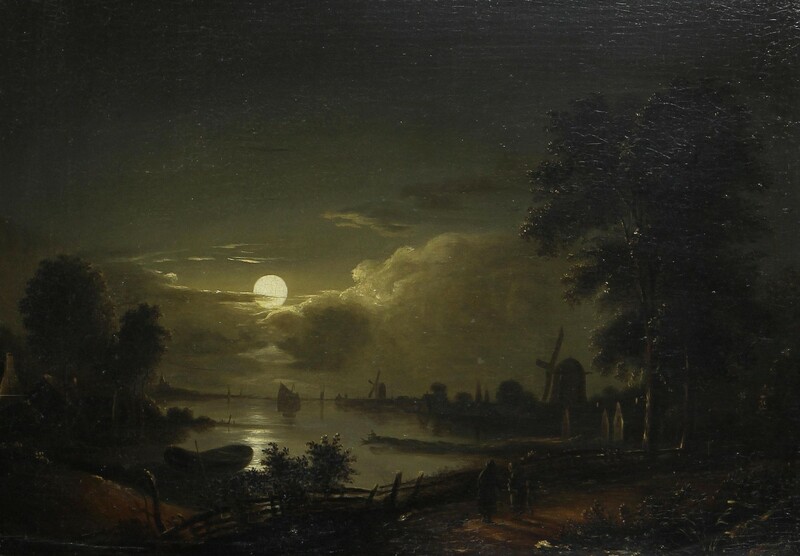 ABOVE RIGHT: River by Moonlight (unsigned). BELOW LEFT: Winter Evening. BELOW RIGHT: The Moonlit Ferry. 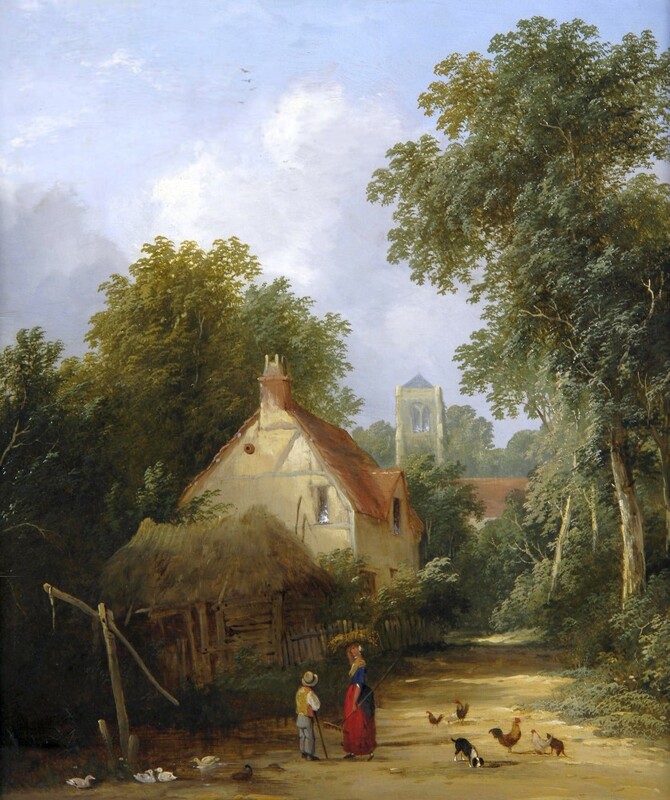 Visitors and Poultry on a Path to the Village, which is shown on the right, is an Edward Williams landscape that is more in the style of his uncle George Morland, but lacking the detail to the characters and buildings that might be found in Morland's work. 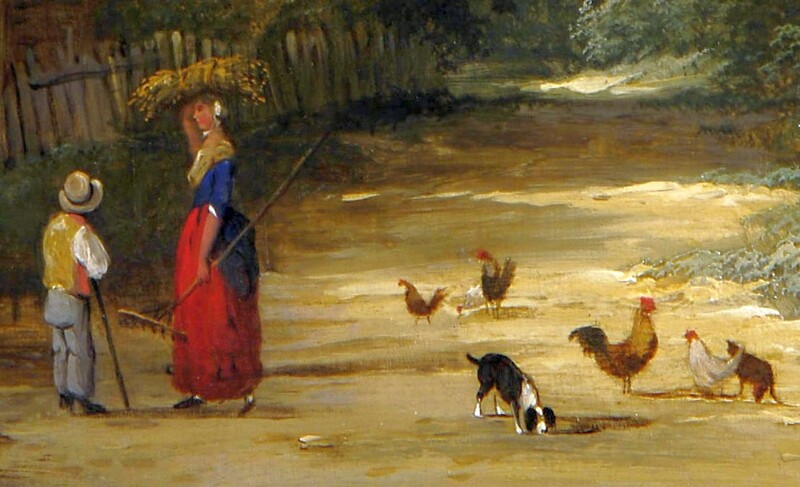 For example, notice the crude form to the building in the painting on the left, and the simplicity to the people and animals in the detail of the same painting on the right. However, the painting still shows the attention to detail of the tree leaves that is found in William's earlier Hobbema-style landscapes. 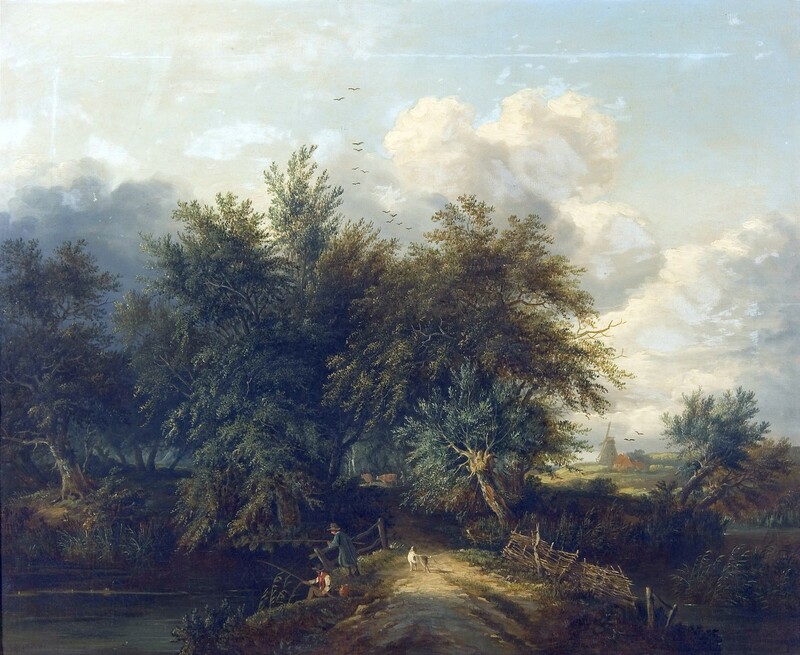 This picture nicely shows how William's style, and his ability as a painter, had evolved over the years when compared to his earlier woodland landscapes and moonlit river scenes. Edward Williams during the latter part of his career lived with several of his sons in a communal artist setting at Castelnau Villas in Barnes, which bordered woods and marsh lands along the Thames River on the outskirts of London. 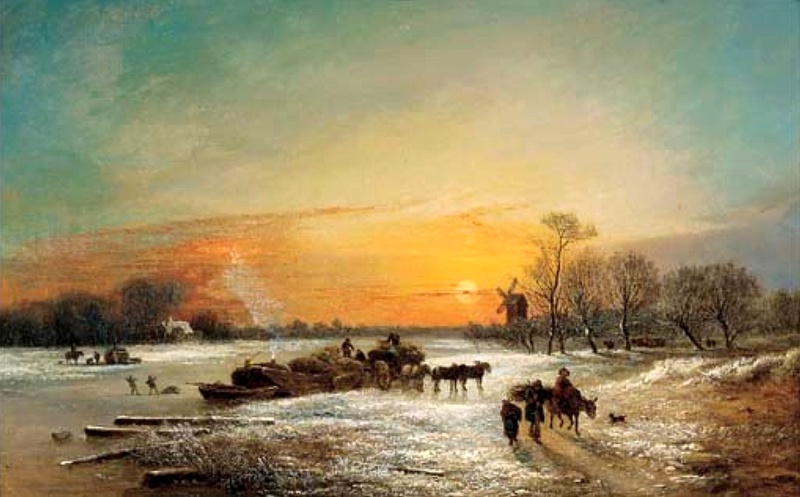 Consequently many of his paintings from this period resemble those of his sons, and feature rural scenes that one might encounter along the river. The painting on the left is similar to something that his oldest son Edward Charles Williams may have painted, and the two paintings on the right are very similar in style to some of the work of his sons Henry Boddington, Arthur Gilbert and Sidney Richard Percy. Interestingly, the painting on the far right is signed E. Williams, but some have attributed it to the oldest son Edward Charles Williams, and not to the father. LEFT: Crossing the Stream, A Wayside Chat. 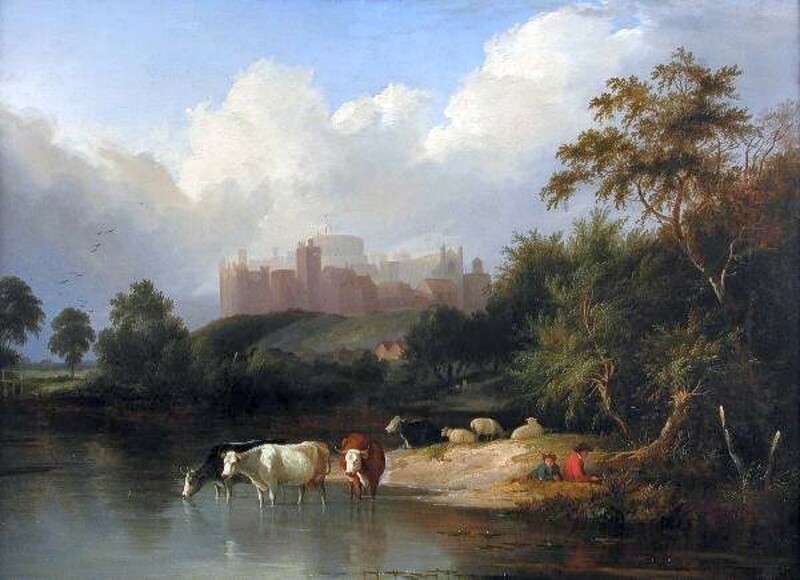 CENTER: River Landscape with Windsor Castle. 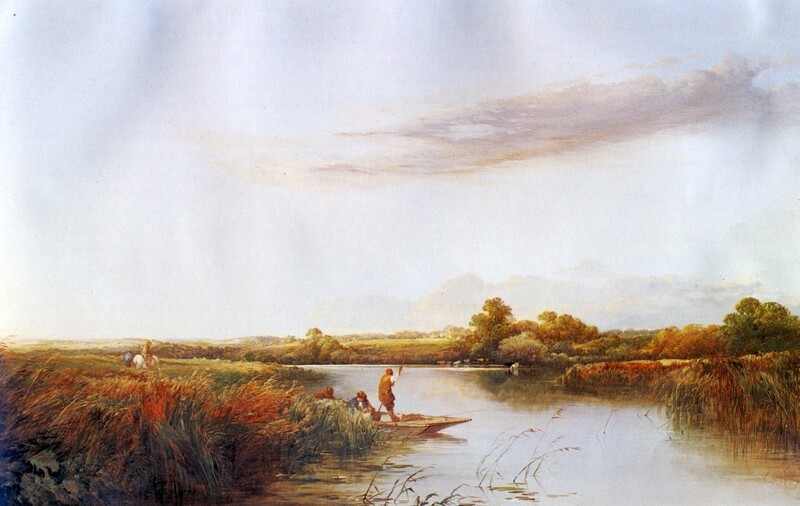 RIGHT: Rush Cutters on the Thames - 1851 (signed).